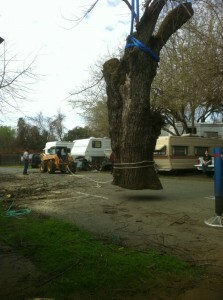 We salvaged a large California Black Walnut tree from a property in Woodland, California. 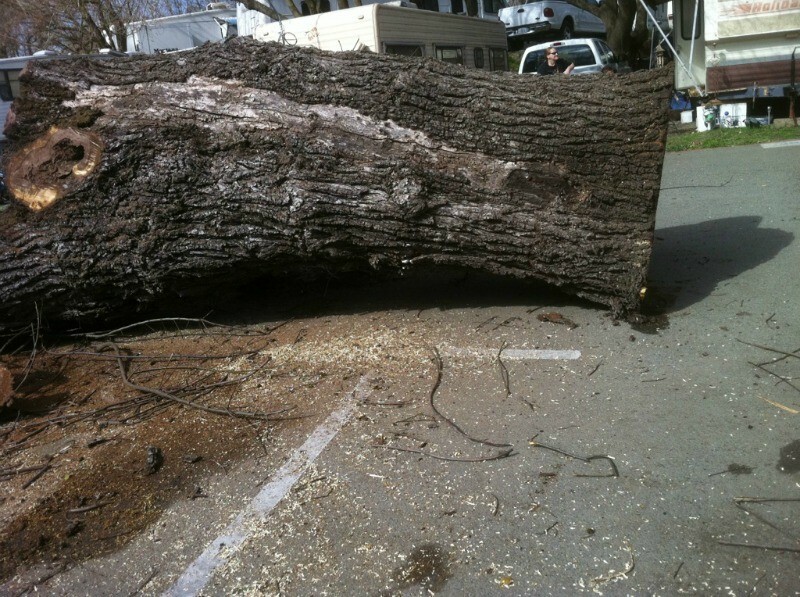 This was a standing dead tree and had been dropping branches for years. 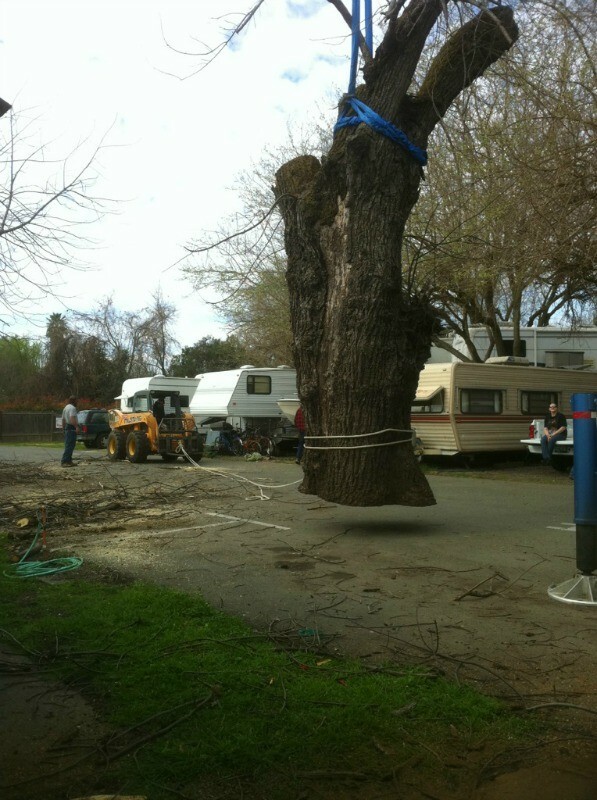 The owner of the tree tried to save it for as long as possible, until it became too dangerous. That is when we came in and salvaged it. It measured over 10’ tall and was over 40” wide. There will definitely be nails and other metal objects in it from years of people hanging signs, lights and other objects from it. Go here to see more of our salvaged walnut .